Combine flours and salt in a large bowl and mix to combine. Add 2 tablespoons oil and almond milk and stir until mixture begins to form a ball. Kneed for 5 minutes then cover with a damp towel and allow to rest for 1 hour. 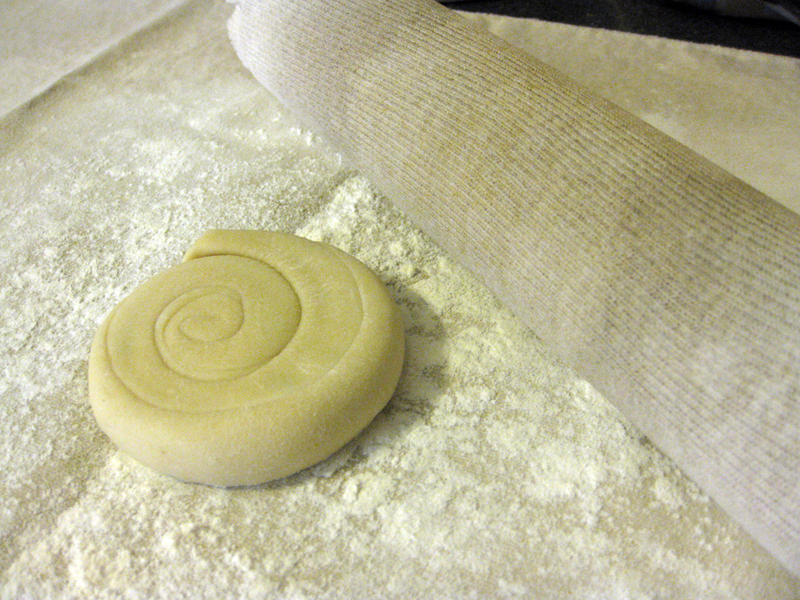 After the dough has rested, separate into 6 sections and roll into balls. On a clean, lightly floured work surface, roll each ball out until approximately 1/8-inch thick. 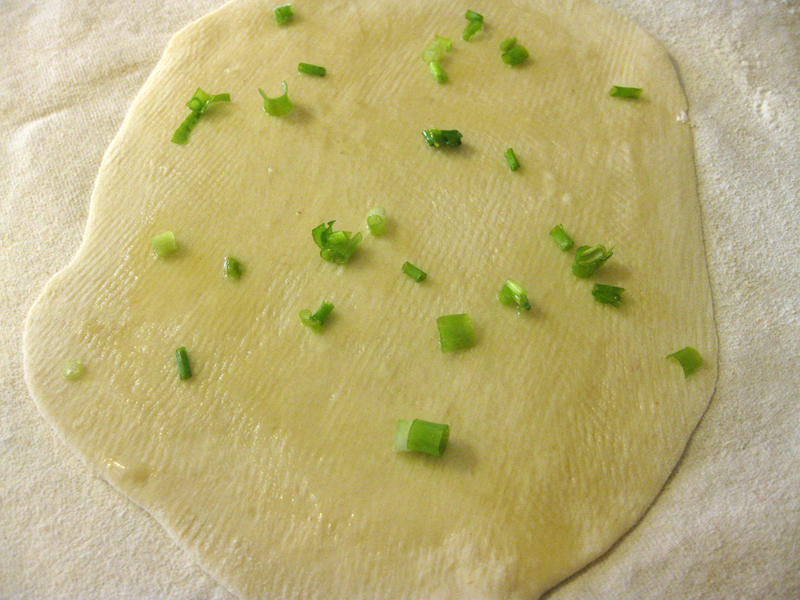 Spread approximately 1-2 teaspoons oil evenly over the top and sprinkle with approximately 2 teaspoons green onion. Roll each circle into a log. 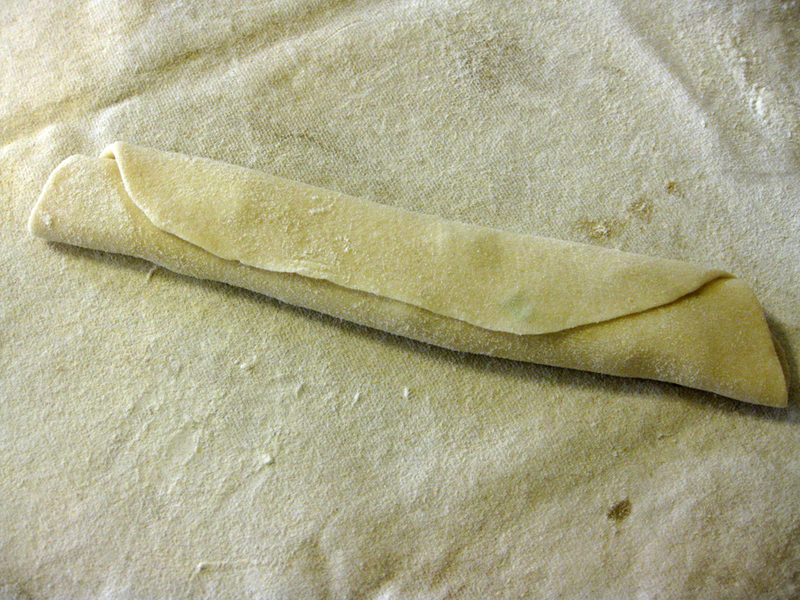 You should end up with a strip of dough, approximately 1-inch tall by 8 inches wide. 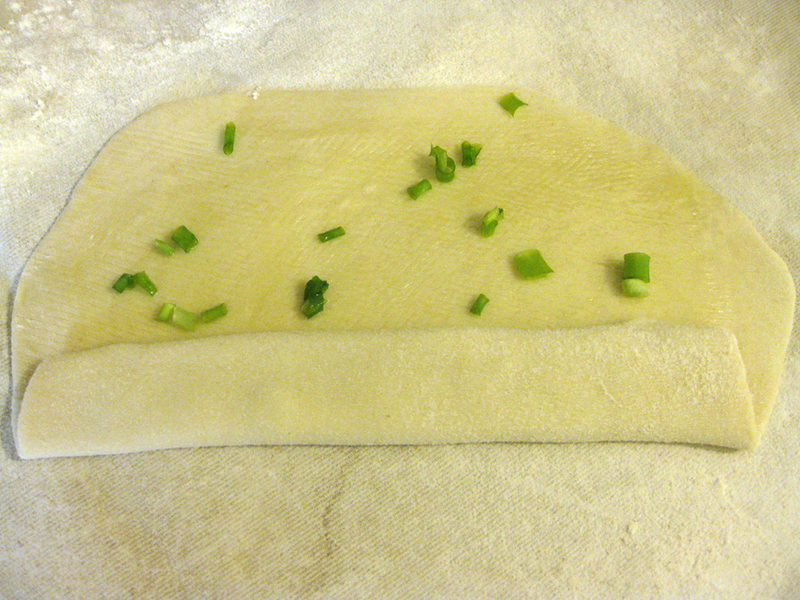 Press to flatten dough slightly and stretch so that it is approximately 2 inches wider than before. 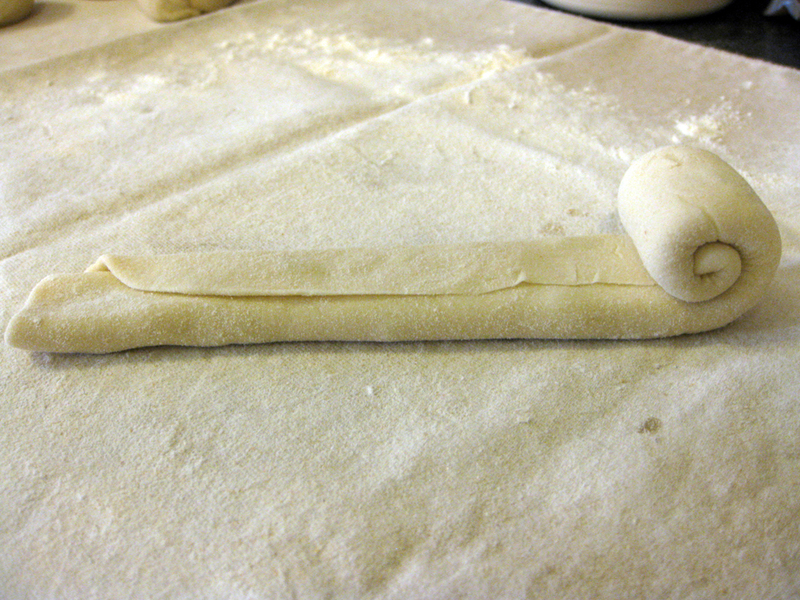 Roll the strip into a ball, similar to a cinnamon roll. 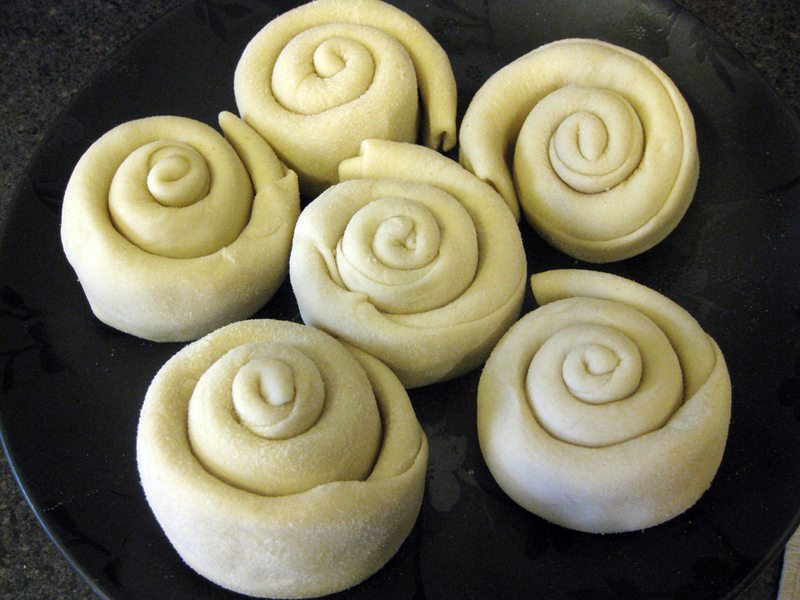 Repeat with remaining dough until all has been used. Place balls on a plate and cover with a damp towel for an additional hour. After resting the second time, again, roll each ball into a circle approximately 1/8-inch thick. Set aside. Heat a teaspoon oil in a large, non-stick frying pan over medium heat. Add a paratha and cook for approximately 2 minutes on each side, or until golden brown spots appear. Remove paratha from pan and repeat until all remaining dough has been used. * NOTE: If you wish to have a nice buttery taste, simply substitute vegan buttery spread for the oil and proceed with recipe as directed.